1. Preheat the oven to 175C (350F) and line a deep square 20cm x 20cm (8x8 inch) baking pan with baking paper. 2. In a large saucepan melt butter over a low to medium heat. Once melted, remove from heat and mix in the sugar and vanilla. Add lemon zest, juice and eggs, and water from the sultanas (set sultanas aside) mix well to combine. 3. 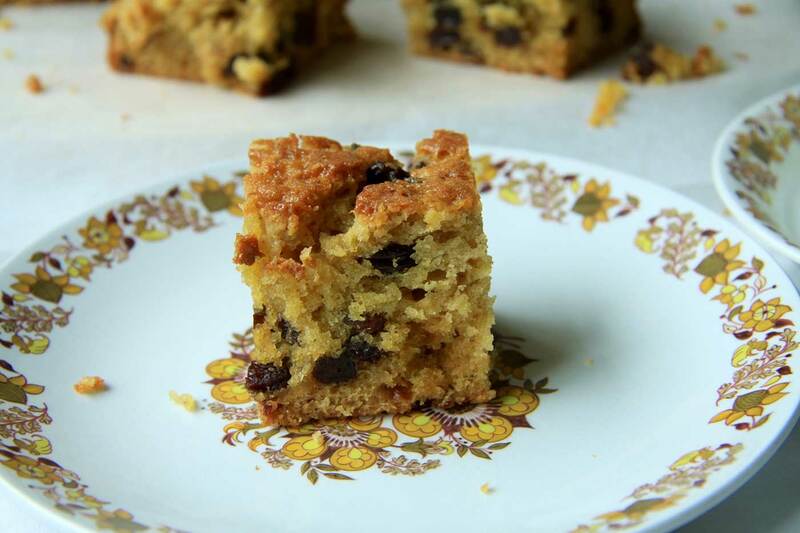 Coat the sultanas in 1-2 tablespoons of the flour (this helps prevent them from sinking to the bottom of the cake). Sift remaining flour, mixed spice, baking powder, baking soda into the butter mixture along with the sultanas and and reserved water and fold everything together until just combined. 4. Pour mixture into prepared pan and bake for 1 hour or until golden on the top and when a skewer inserted comes out clean (or with a few loose crumbs). * If using unsalted butter, add 1/2 teaspoon salt when adding the dry ingredients. 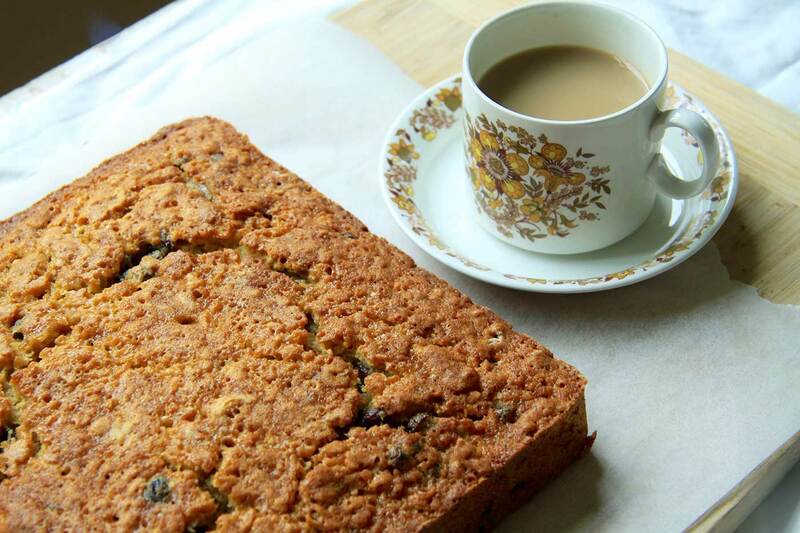 A deliciously moist yet fluffy golden sultana cake. Perfect for any picnic, afternoon tea or snack. Best of all, you can make it all in one bowl! 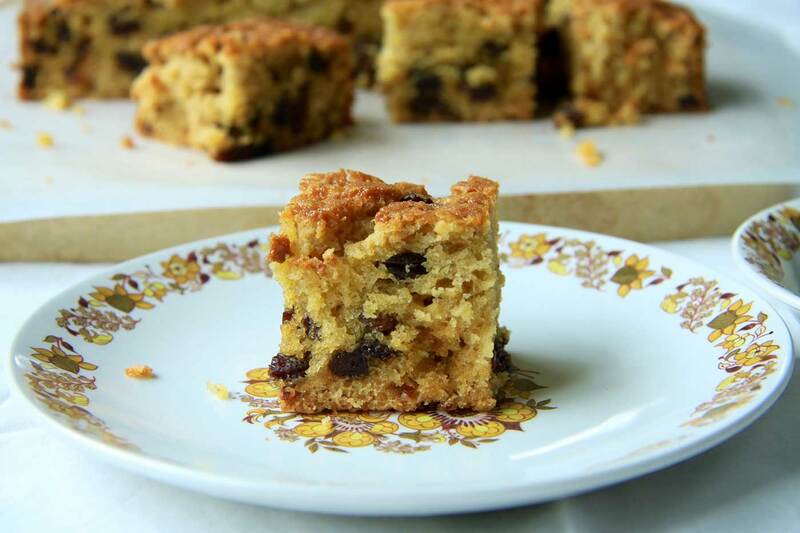 As a non-fruit cake eater myself, I can assure you that this golden sultana cake is far better and tastier in every way that you can possibly imagine. It’s nothing like a traditional Christmas cake. You’re going to have to trust me on this one. I promise it won’t let you down. A while ago I asked Kevin’s dad what type of baking he loved to eat. This golden sultana cake was his answer, except he prefers raisins to sultanas. I thought I’d hop to it and make him one. Sultana cakes can be dark in colour or golden like this one. I prefer the golden colour myself. 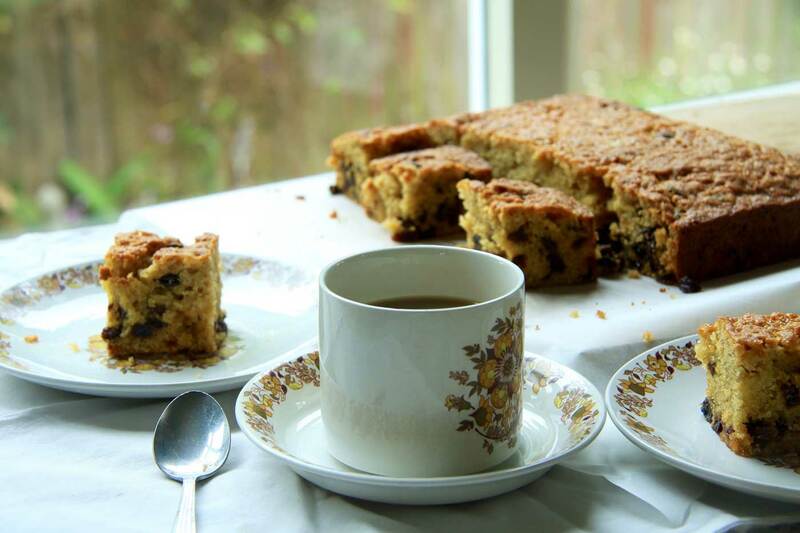 Sultana cake is a good ‘ol Kiwi recipe that varies from family recipe to family recipe. My Nana used to make it often but I’m not sure exactly what recipe she used. My version creates a texture that is moist, ever so slightly dense but yet still somehow still fluffy. When you bite into a piece of this cake, your teeth hit a slightly crunchy outer later, then straight into the moist layer of the cake, making it a little irresistible. The secret to the texture I think, is due to the baking soda and lemon juice combination in addition to the eggs and baking powder. You can learn more about the wonders of baking soda and baking powder here. All made with one bowl! Although I love baking, I’m still a huge fan of making things easy and quick in the kitchen and that’s one of the reasons why I love this recipe – it’s all made in one bowl (well technically a saucepan, but you get the drift)! 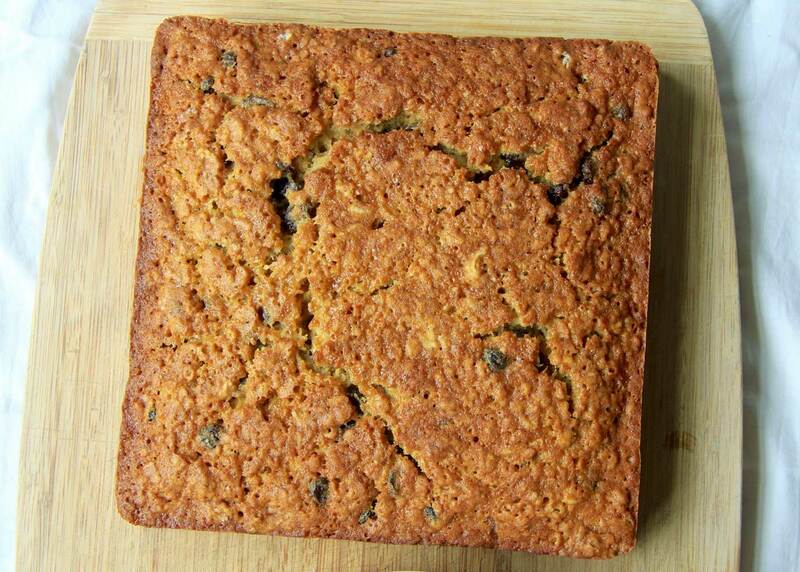 To prevent all the sultanas sinking to the bottom of the cake, coat them in a bit of flour before adding to the mixture! Genius isn’t it?